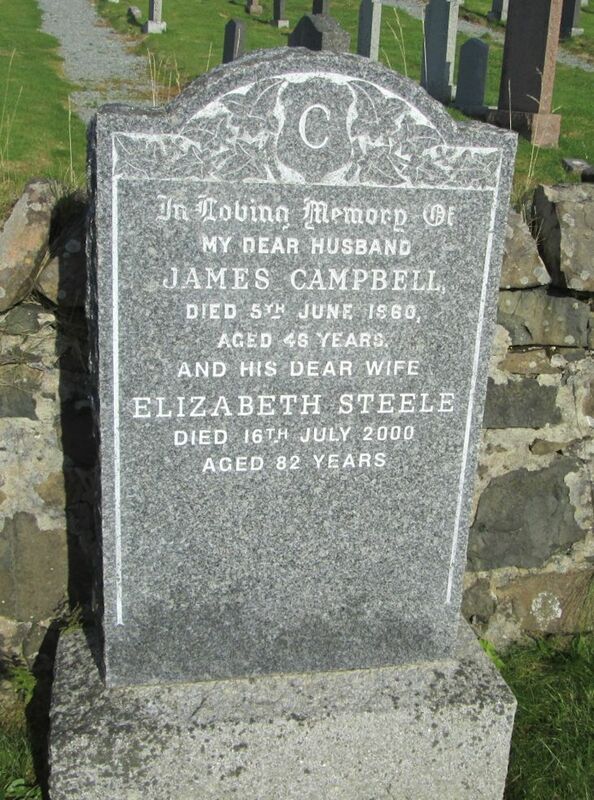 Skye Gravestones | James & Elizabeth (Steele) Campbell. James & Elizabeth (Steele) Campbell. In loving memory of/my dear husband/JAMES CAMPBELL/died 5th June 1960/aged 48 years/and his dear wife/ELIZABETH STEELE/died 16th July 2000/aged 82 years.